Home » Uncategorized » Well, we made it! Well, we made it! 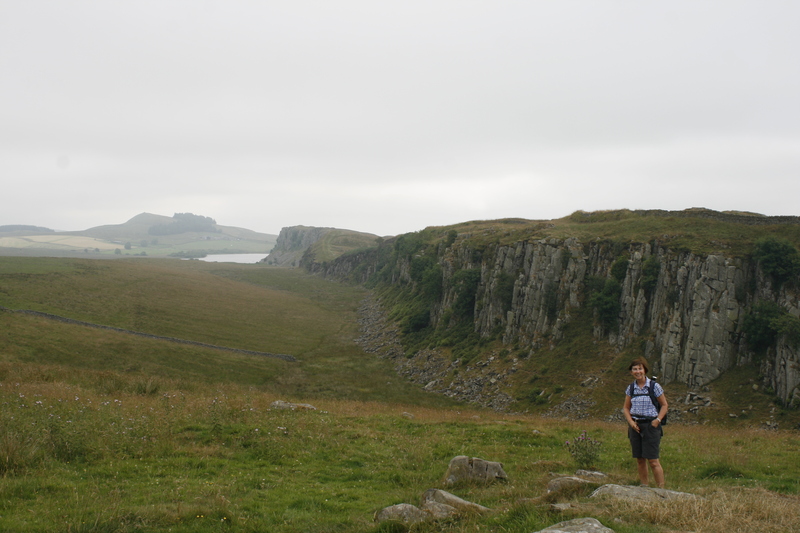 The lovely daughter and I walked more than 40 miles on, beside, up and over Hadrian’s Wall, built to stop the marauding Scot’s way back in the first century AD. An unexpected heat wave made some of the climbs quite challenging but the amazing views when we got there made it all worthwhile; we could see for miles. ….amazing views along the walk. 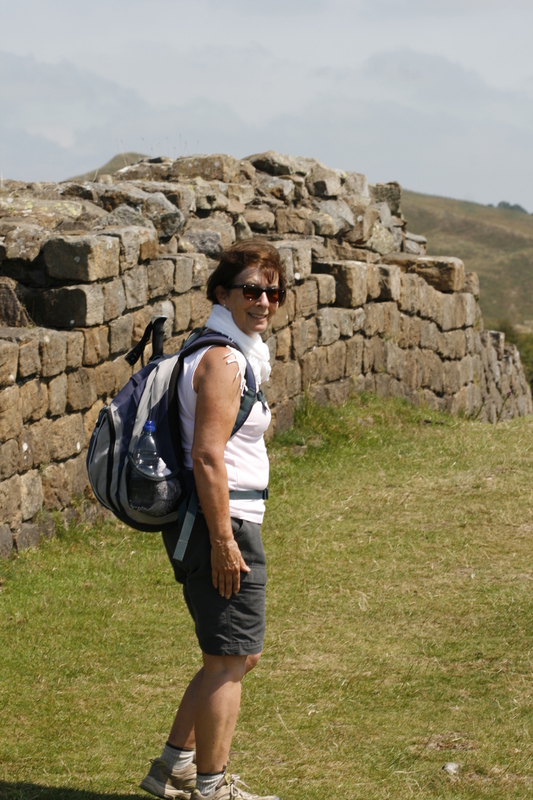 At one point we found ourselves on the wrong side of the wall which necessitated climbing back over which was quite interesting! The Parkinson’s wasn’t really a problem, a few cramps in my toes on the first day and trying to keep the dodgy left arm occupied didn’t really hinder our progress. I have now finished all the acupuncture and hydrotherapy offered at the local hospital and been very impressed with everything I have tried. I even managed to shop for a new red handbag at the stall in the entrance to the hospital! In particular I hope to continue the hydrotherapy in the pool at the local leisure centre two or three times a week, they have most of the equipment I need and hopefully I can tag this onto classes that I am already doing rather than making extra journeys there. The change of management there has made everything more difficult to organise but hopefully this is now improving slowly. Next week I am back to see the consultant, it will be interesting to hear what he has to say. Although everything is just a little bit more challenging I feel I can manage at the moment without needing more medication. All the pilates and other exercise helps with the inevitable stiffness and keeps my spirits high, helped by all my wonderful family and friends. Wow! What beautiful photos Elspeth. So pleased you had a lovely time with ‘the lovely daughter’ and did so well with the amazing climbs. Good luck next week and hope all continues to go well. Elizabeth and Ken. Hi Elspeth, isn’t Northumberland wonderful. You and the lovely daughter did so well, what a great trip. I am glad to hear the therapies have helped and that you plan to continue them. You will need one of those planners we used to have in school with your daily exercise classes fixed. Looking forward to seeing you and Peter in a few weeks . Great stuff, well done both of you.